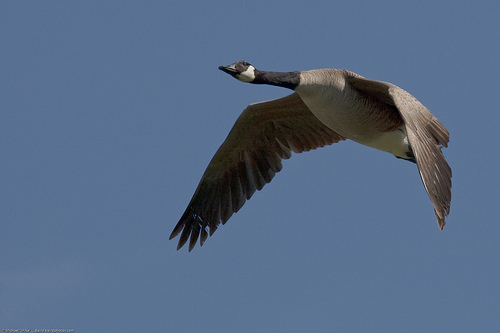 The Canada Goose is on a slow rise in western Europe. 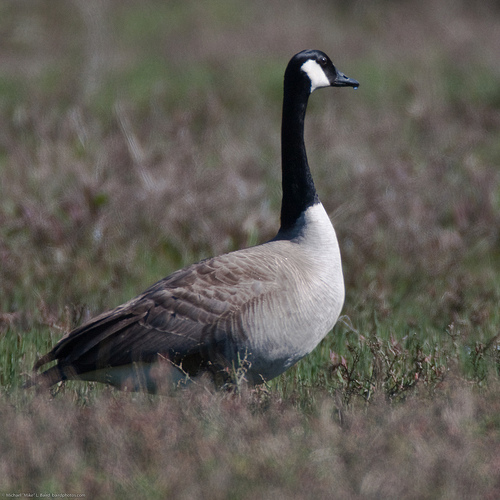 The Canada Goose resembles the Barnacle Goose, but is much browner (sometimes beige) and is larger. The Canada Goose is browner and not grey like the Barnacle Goose. The forehead of the Canada Goose is black, the head of the Barnacle Goose is almost completely white.